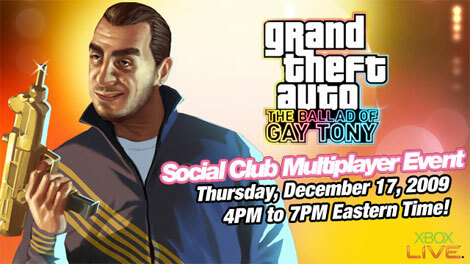 Rockstar is hosting an official GTA: The Ballad of Gay Tony multiplayer session on Xbox LIVE this Thursday (December 17th) from 4PM - 7PM Eastern Time. Visit the Rockstar News Wire for full details. Once again, Rockstar will be providing a live streaming broadcast of the entire event.